"God's plans for the development of souls have not changed. They were described to ancient Israel, whose 40 years in the wilderness were 'to humble thee, and to prove thee, to know what was in thine heart, whether thou wouldest keep his commandments, or no' (Deut. 8:2). Therefore, disciples today can understand why our faith and patience are tried at times—so that we can be prepared to go Home (see Mosiah 23:21). "Brothers and sisters, we do not go many hours in our lives without having to decide again 'which way do we face' and whether we will pitch our tents facing Sodom or the holy temple (see Gen. 13:12; Mosiah 2:6). "Brothers and sisters, we dare not hold back the restored gospel's declaratives! We dare not hold back the reassuring revelations and truth-telling translations about 'things as they really are, and... things as they really will be.' These are so needed by those whose weary hands hang down because they suffer from doctrinal anemia, which can best be treated by the red blood cells of the Restoration (see Jacob 4:13). To hold back would be to restrain repentance and to obscure the beckoning spiritual alternative, which will become 'fair as the sun, and clear as the moon' (see D&C 105:31)." The "children of Israel" spent 40 years "wandering in the wilderness"; there were things they needed to learn and experience. They needed to prove their hearts, their willingness to obey. 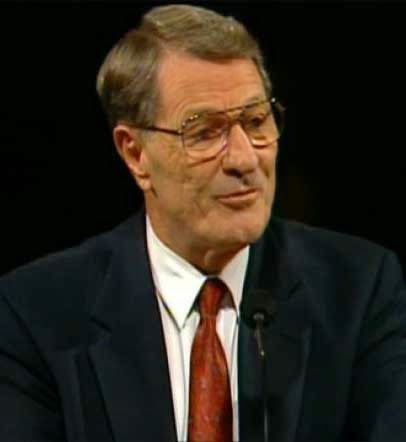 Elder Maxwell suggests that in modern times, we have the same experience—"our faith and patience are tried at times" in order to help in our preparation to return to God. The key question for us, then, is to ascertain, in the scriptural language, which way we face—toward the temple (symbolizing God and the gospel) or towards Sodom (representing the world and its temptations). 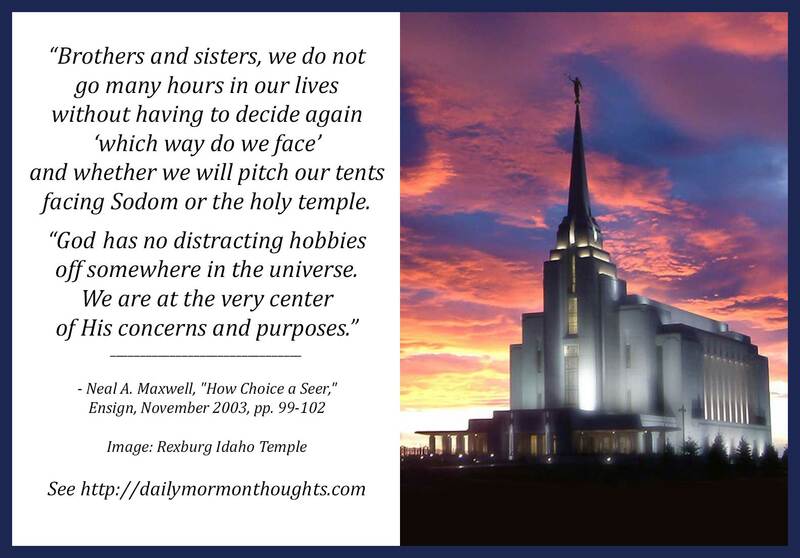 I love the description of God having "no distracting hobbies" that make Him oblivious to our needs and challenges. While we often engage in those distractions, He never will. We are always 'at the very center of His concerns and purposes." In the midst of our individual "wanderings in the wilderness," we can become weary. We can "suffer from doctrinal anemia" if we are not focused enough on "the red blood cells of the Restoration." How critical it is to make sure we are facing the right way in order to receive the greatest benefits from what God promises us!